Dried cherries make for a flavorful addition to your diet. They provide fuel you need to get through the day. Each quarter-cup serving of dried cherries contains 133 calories and each quarter-cup serving of dried cherries makes up one-fourth to one-third of the daily recommended fruit intake for women and one-quarter for men. Nutty Gritties Cholesterol Free HEALTHY WEALTHY ( Cocktail ) NUTS 180g100% Natural Cholesterol Free flavored with age old Healthy Wealthy Nuts secret recipe of choicest selection of California Almonds & Mangalorean Cashews popular since 1887 ! The wholely dried peeled mango slices with very nominal processing of sugar, have an awesome taste and will surely make your day complete with the well known taste of Fresh Mangoes. A sweet and delectable dried pineapple that everyone loves! cut into smaller chunks. Perfect for snacking or for baking. Enjoy the taste of this sweet tropical fruit anytime with the help of these dried kiwi slices. This colorful treat makes a great snack by itself, but also can also be used in snack mixes or as a tropical dessert garnish. Try mixing dried kiwi with dried pineapple, mangos, apricots, cantaloupe, cantaloupe and nuts for a sweet and crunchy taste of the tropics. 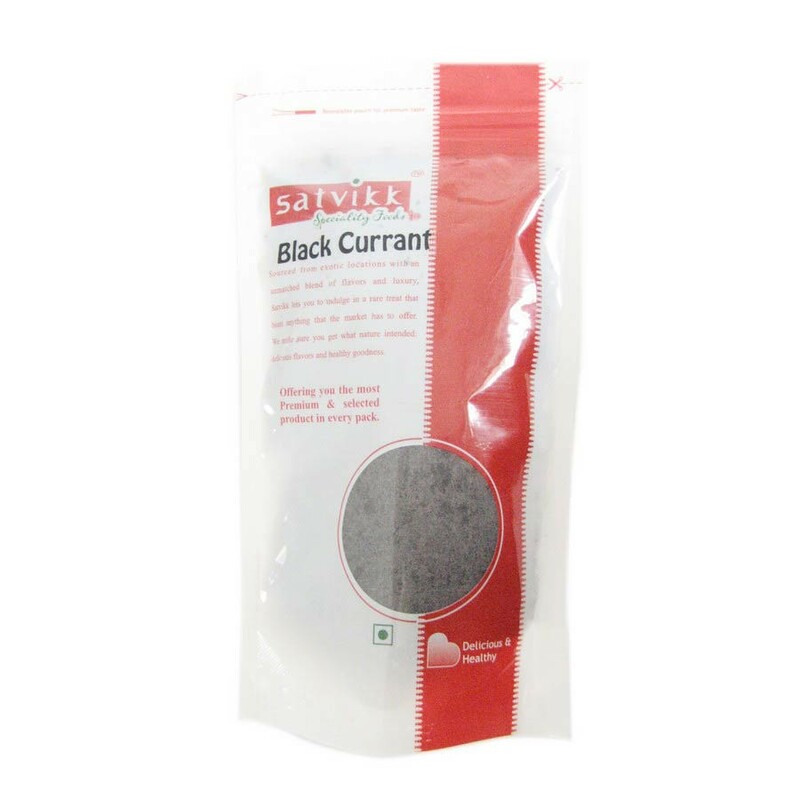 Having 5 times more vitamin C, Black Current have superb immunity booster alongwith improving vision. 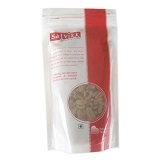 Satvikk Natal, a special variety of raisins with zero chemical processing and directly collected from farm naturally. Sweet, delicious and flavorful macadamia nut is one of the popular edible nuts packed with notable health benefiting nutrients. 100 g of Macadamia nuts provide about 718 calorie/100 g, which is one of the highest values among nuts. Also being gluten free, Macadamia nuts are one of the popular ingredients in the preparation of gluten-free food formulas. Macadamias are also an excellent source of minerals such as calcium, iron, magnesium, manganese and zinc. Macadamia nuts are one of the only food sources that contain palmitoleic acid (a type of monounsaturated fatty acid that may speed up fat metabolism, thus reducing the bodyâ€™s ability to store fat). Mango Papad is an Indian fruit leather made out of mango pulp mixed with concentrated sugar solution and sun dried. It is also known as amawat, mamidi tandra, aamsotto and amba vadi. Tangy and sugary at the same time these kiwis are an all time favorite. Try one and you'll be hooked. Dried Pineapples have a unique sweet-tart flavor that is great for those who enjoy a tropical taste. Dry Fruits Gulkand (Rose Petals Jam) - rose petals, badam (almonds), cashew (kaju)Gulqand is an Ayurvedic tonic. The National Institute of Ayurvedic Medicine provides a list of the benefits obtained from eating gulkand. This includes reduction of pitta and heat in the body, a reduction in eye inflammation and redness, strengthening of the teeth and gums, and the treatment of acidity. Satvikk Sindukani Premium, a special variety of Â imported raisins / dry grapes with zero chemical processing and directly collected from farm naturally in absolutely fine quality will leave your taste buds a magical flavor and taste of raisins you will never forget. Sindukani are slightly sweeter and greener in comparison to normal dry grapes / raisins. Satvikk Sindukani, a special variety of imported raisins / dry grapes with zero chemical processings and directly collected from farm naturally in absolutly fine quality will leave your taste buds a magical flavor and taste of raisins you will never forget. Sindukani are slightly sweeter and greener in comparison to normal dry grapes / raisins. 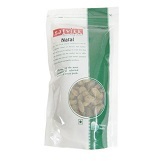 Buy Dehydrated Fruits Online at Foodzu and get attractive discount on each purchase. Dried fruit is fruit from which the bulk of the original water content has been removed either naturally, through sun drying, or through the use of specialized dryers or dehydrators. Dehydrated fruit is packed with sweetness and flavor, creating them ideal for breakfasts, snacks, and desserts. A wide range of Dehydrated Fruits are produced globally and the foodzu online stores give you the chance to choose any Dehydrated Fruits like mango, pineapple, peach, oranges, etc at cost-effective prices. As a result of the wonderful health beneficial properties found in Dehydrated Fruits has been established to produce a positive impact on our body. Selecting the premium quality Dehydrated Fruits isn't an easy task. The Foodzu online grocery stores in India understand this challenge and hence serve you with a good range of Dehydrated Fruits at a pocket-friendly price. Shop high quality of Dehydrated Fruits on Foodzu online grocery store in India and get the product delivered right to your doorstep. Enjoy the easy and relaxed way of online grocery shopping Bangalore from top brands at less than MRP at Foodzu.